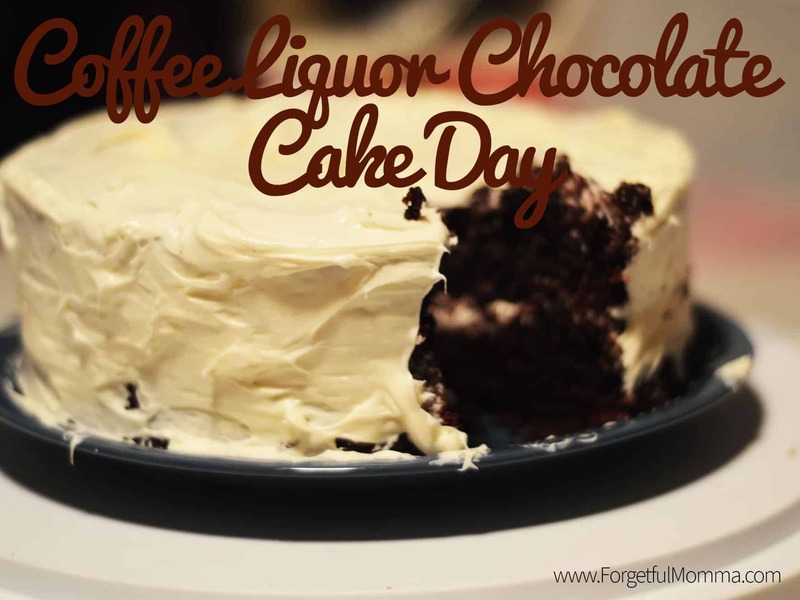 This is an amazing coffee liquor chocolate cake which I am sharing just in time for National Chocolate Cake Day, which happens to be on January 27th. 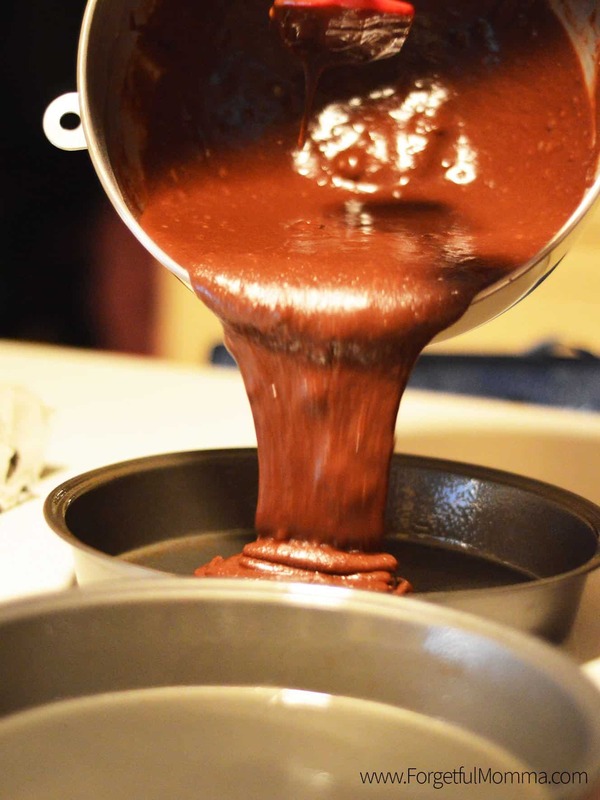 Did you know that there is a National Chocolate Cake Day? I did not, and I am a big fan of chocolate cake. 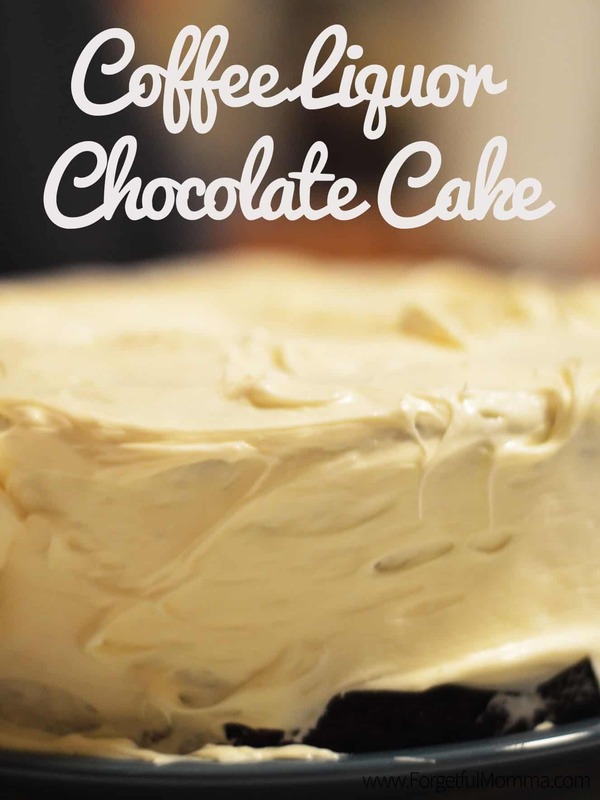 You can find a few different recipes for chocolate cake here on Forgetful Momma including a chocolate coffee cake with peanut butter frosting, I could lick the frosting off the whole cake it’s so good. Grab your non-stick spray and grease two round pans. 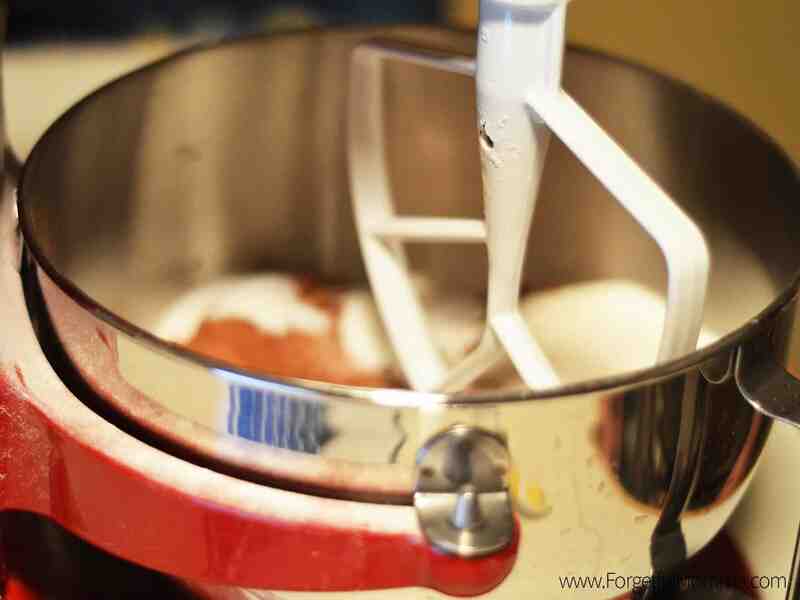 Start adding ingredients into your mixer as per the cake recipe. I am not a huge wine drinker, though I do enjoy a glass now and then but I love a glass of coffee liquor… or a shot of it in my afternoon coffee cup after a trying morning. That was the inspiration for this cake, a long day. Which is why we used it instead of water or milk. The liquor does burn off in the oven so it is still safe for your kids to eat it. 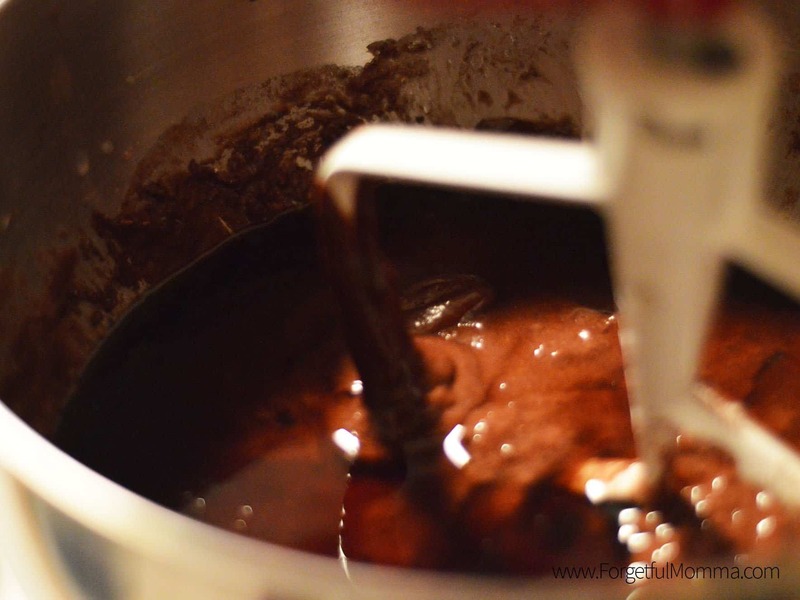 Divide it evenly into the two round pans for baking. 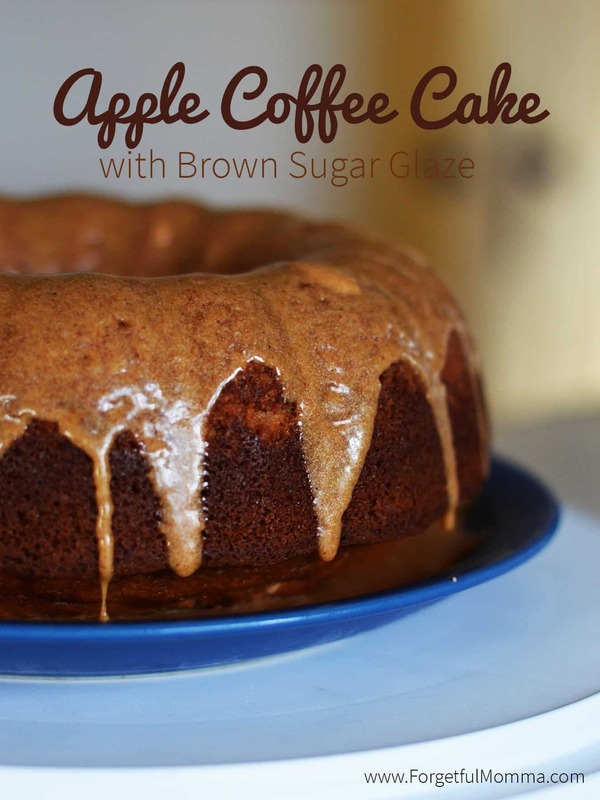 Bake for 35-40 minutes, until a toothpick comes out clean – my method for cake done-ness testing. Let it cool for about 30 minutes, or set in the fridge/freezer for 10 minutes to speed up the cooling process if you can’t wait that long. I want to taste it, oh, how not to crave when it comes to delicious food like this!